Ranbir, on the other hand, recently dazzled the silver screen with his stunning performance in Sanju, the biopic on Bollywood star Sanjay Dutt. Sanju could well be the reason why Aamir and Bhushan thought of Ranbir for Mogul. But whether or not Ranbir gives a nod to the film will depend largely on availability of dates. The actor is currently shooting for Ayan Mukerji’s Brahmastra. Post this, he has Yash Raj Films’ Shamshera and Luv Ranjan’s next co-starring Ajay Devgn in his kitty. Ever since Akshay Kumar walked out of Mogul, the Gulshan Kumar biopic over issues with the film’s script, the search for his replacement is on. 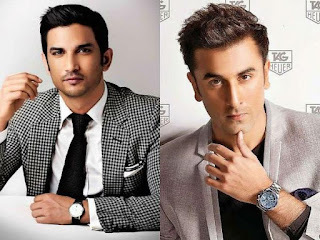 Days after Aamir Khan joined hands with T-Series’ Bhushan Kumar to produce the film, it was reported that Mr Perfectionist of Bollywood had approached Ranbir Kapoor to play the part. Both Bhushan and Aamir, reports claimed, are extremely keen to have Ranbir on board. The Kapoor scion, however, is yet to take a decision. Now, according to a report in DNA, Sushant Singh Rajput, too, has been contacted by the makers for the main role. The report claims that Sushant has the dates to star in the project. If he does choose to step into the shoes of Gulshan Kumar, this will be the second time he will play a famous personality on screen. Earlier, the actor portrayed former Indian skipper Mahendra Singh Dhoni in his biopic called M.S. Dhoni: The Untold Story. The film was a huge success at the box-office. Mogul, to be directed by Subhash Kapoor, is scheduled to release on Christmas 2019. Considering its large scale, the film is expected to go on floors anytime soon.